An Alpha and a witch, one cruel, one kind. Who will win and who will lose in this mateship? Will they come out of it hand-in-hand or part ways when the truth is revealed? "It's my promise to protect her, to learn to love her. No matter what she is." To me, pack and family mean everything. I'd die for them. I've seen pain, learned forgiveness. But I've never seen this. Mates are something of the past, old legends from our grandparents that have faded with time. But I've found mine. And it's nothing like what I could have expected. She's more than I could have ever imagined. One of the most dangerous beings on Earth. Stone Murdock is a powerful werewolf from a long line of Alphas. The Cursed are a rare form of mutated Shifter gene. In a world where the rest of Human and Shifter-kind have turned their back against their more evolved cousins, those affected by the mutation have to learn how to hide or be exploited by the government. He has to figure out how to protect her, when there's supposed to be nothing she can't protect herself from. An ordinary girl who loves school and has a habit to become first in every sector. But what happen when a new boy comes and breaks her all record? Will they become rivals or start having feelings for each other?? A rich,popular,handsome guy happened to be shift in New York  suddenly.. In school it becomes his goal to beat an arrogant girl named Jessica in every possible field. so...Will their battle continue? Or something unimaginable will happen?? What does it take for a wolf to accept his mate? What does it take for a she-wolf to give up on her mate? Desiree is a woman of her word and knows exactly what she wants: her mate. She isn't afraid to let him know she's interested and refuses to back down when he pushes her away. Seth is a stubborn man, who refuses to accept anything that falls in the way of his dreams. While he may be generous, he doesn't really understand how to acknowledge other peoples' feelings. Will his unawareness drive Desiree away? Or will he come to realize that he needs her by his side as trouble is brewing? We all love Heather and William's friends and family, so why not hear their stories and how they found love? "You know what I hate?" He whispered dangerously low. He removed one hand from the wall and cupped my cheek while his thumb brushed it back and forth. The roughness in his hand felt nice against my skin. He dropped his attention to my lips. "Disobedience." He murmured before his hands moved to the back of my hair and he yanked to expose my neck. A whimper slinked past my lips and I closed my eyes tightly. His lips brushed up against my neck, "What do I have to do to make you leave?" I gulped in fear and in excitement. His lips were slowly stirring an inexplicable need inside of me. My heart thumped like a fast beating drum inside my chest. What do you do when you are faced with your twin's betrothed? Lilac was born ten minutes after Violet which makes her the younger sibling. Timid but perceptive, she wasn't surprised when her headstrong and free-spirited twin sister approached her with the craziest idea. Lilac and Violet both knew that ever since they were pups, their fate has been tied to two Alphas from neighboring packs. Violet is the oldest was betrothed to Alpha Dominic Blackwood-a very domineering and possessive Alpha male. When Alpha Dominic lost his eyesight due to a wolf battle, Violet is quickly ordered to her betrothed mate's side. But stubborn Violet isn't ready to settle down yet. She had so much to see, so much to do. If only she can clone-wait a minute. The two swaps identity just like when they were pups. But they should have known that playing with fire will get them burned in the end. Now, it is up to them to live up to their sister's identity before someone discovers their mischievous secret and expose who they really are. If you are offended by this title, this book is for you. If you are a writer or just a very observant reader, you'll relate to this book. The heartless Nyx has been living in isolation for many years, killing those who come into contact with her and showing no mercy  to those she finds on her land. But her cruel heart was once pure and kind. Until that one fateful day many years ago. Her innocence was gone from then on and any light that was within her grew dim. But even a dying flame can be brought to life. What happens when she saves a near-dead stranger against her better judgement? Will she finally be able to live with others? Will she still seek the blood of her enemies? But more importantly, will she learn to love again? 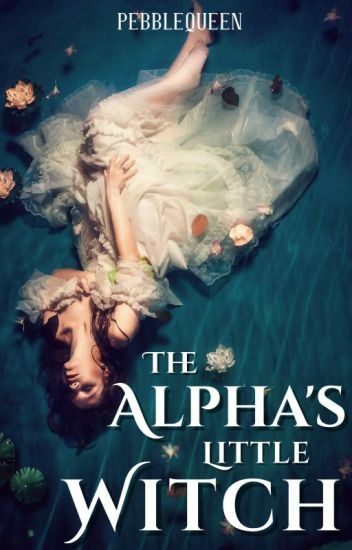 In a world  on the brink of war between the vampires and werewolves, with any other supernatural caught up in it, Nyx will find out that she is right in the middle of it all. With enemies watching her at every turn, she must decide if the lives of others are worth keeping her secrets. The world is a messed up place. Those who are different get treated horribly, we get persecuted and people pretend like we don't exist. Of course if you're a half breed then it varies. The normal and accepted half breeds are usually vampire/werewolves or werewolf/human or witch/fairy but not a witch/werewolf. For Lina she was a reject of sorts. A being that shouldn't still be alive but was. Hated by her pack she knows her life will never be easy and with a war on the border of the horizon, she needs to work out where her real loyalties lie. Killian was the ruthless leader and most feared Alpha in history, he did not feel and he did not care, all he cares about was purging the world of evil. On the night of the blue full moon, the wolves all gather to find their mates. What happens when he discovers that his mate is one of the species he is trying to purge and destroy? As Evelynn's list of powers and oddities continues to grow, her life with her mate and the peace they thought they had found after fighting down demons are threatened once again. This time, fate has its own set of rules and who is strong enough to defy fate? Is love enough, or will it take the ultimate sacrifice to save those that she cares about the most? Sequel to Wereworld Warrior Princess- That is a must read before diving into this story, even though my writing and dialect have improved immensely since I wrote the last installment, it's important to read Evelynn's and Jace's backstory first. Thank you for reading and continuing to share in the happiness that created this world has brought me. Everyone should have a code to live by, a set of rules created from life experiences. I have one, and right now, this boy is breaking about three of them without trying. "Come on Tempest, you know avoiding me won't work." Butch murmurs, his metallic gray eyes watching my every move as he pins me against the wall. I have to give the boy credit, he's persistent. I mutter in resignation, pretending to be irritated by his presence. However, I've found myself drawn to his brute charm, which is a bad thing considering the circumstances. "Do you really despise me that much?" I shake my head, it's quite the opposite actually. I look up to meet his gaze, trying not to get lost in it. Tempest Zebel Mercer is a street witch who just moved to North Carolina from Brooklyn, New York. Living in a cabin left to her by her Great Aunt, she hopes to find peace from the dark secrets that haunt her past. Things change however, when she meets Butch. A boy whose eyes are only for her, and who has a secret of his own. When hell breaks loose, will Butch be the exception? Or will Tempest stick to her rules?